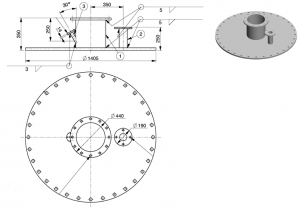 The manufacturing of any machine, equipment, or an electrical device requires technical drawings that specify the design dimensions, and the functionality of the mechanism involved. This is where mechanical drafting services gain significance since the drafting documents form the basis of mechanical design process and for building the target product. The drawings or documents also help in avoiding manufacturing mistakes, gaining quality, thus finishing projects in time and budget. Mechanical drafting services are being used by various industries. Availing these services, companies can get detailed requirements and they get to know how to proceed and achieve the desired end results. For architects, drafting services is helping in creating 3D still images as well as or 360 degree view of buildings. And for mechanical engineering team, drafting services is advantageous in presenting design ideas to clients. Besides companies associated with architecture, engineering, mechanical drafting services are also used by petrochemical industries, oil and gas, and water waste treatment sectors. What makes the technical drawings efficient and packed with precision are the use of advanced CAD systems. With the latest CAD software programs, autocad drafting services are delivering a range of requirements to electrical and mechanical designers. When there is a need to draft designs for mechanical assemblies, architectural structures, and structural designs, advanced CAD programs are the highly reliable sources. These programs are useful in any normal design into multi-layered CAD drawings. Companies that need to be the first to introduce a unique product in the market can derive advantages of mechanical drafting services. A reputed CAD drafting company can help companies in creating an impact in the market and fetch higher profits by overshadowing competitors by bringing products specific to people’s needs. 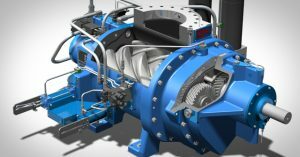 Companies can also take advantage of complete management for their engineering projects offered an experienced CAD drafter contractor. Mechanical drafting services are advantageous for various industries from aviation, to automotive, electrical, medical, and industrial equipment. 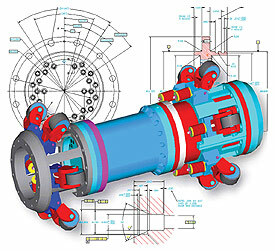 Any CAD service provider applies several scientific and engineering principles to offer mechanical drafting services. But the best drafting service provider in Melbourne I found is, Zeal CAD Services. The way they get involved in a project is a guarantee enough for its success.